Shareholders voted Friday to approve Cigna's proposed $67 billion takeover of Express Scripts Holding Co.
Cigna aims to acquire the No. 1 pharmacy benefit manager for $52 billion in cash and would assume $15 billion in Express Scripts' debt. The combined Cigna-Express Scripts company would have $141.7 billion in revenue. The deal is expected to be completed by year-end, assuming state and federal regulators sign off. Executives said that scale will allow them to drive higher quality and affordability, while critics argue that the deal is primarily profit-motivated and that it wouldn't benefit consumers. "Our combined company will enhance Cigna's differentiated service-based model, fueled by actionable insights and analytics, to drive innovation and meaningful growth in a highly dynamic market environment. As a result, we will build more effective partnerships, further improve health outcomes and deliver a superior customer experience," Cigna CEO David Cordani said in a statement. About 90% of Cigna shareholders voted for the deal compared to around 80% of Express Scripts stockholders. "Together, we will transform healthcare by combining two innovative health care services companies that will have the capabilities, financial flexibility, reach and expansion opportunities to create significant and immediate value for clients and stockholders," Tim Wentworth, president and CEO of Express Scripts, said in a statement. Express Scripts and Cigna picked up on the vertical integration theme in healthcare, particularly after regulators have rebuffed proposed combinations between major insurers, including Cigna and Anthem. Now insurers are teaming up with PBMs or creating their own as they look to optimize claims and coverage data to better manage patient care. 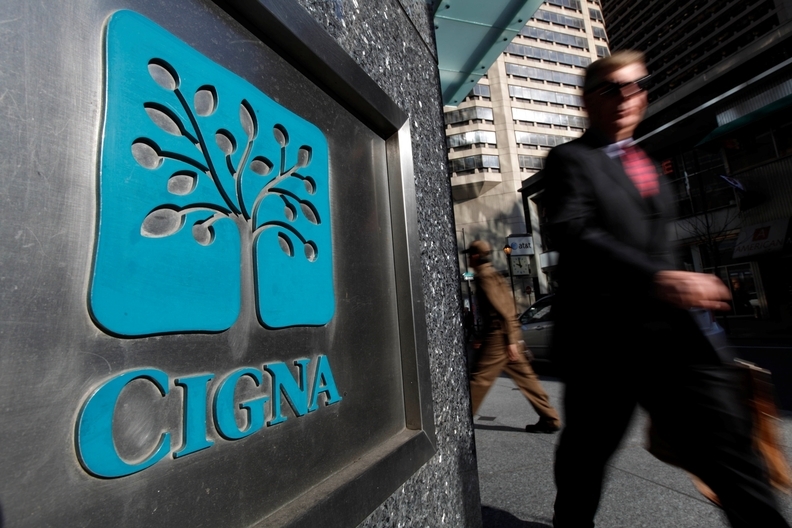 Cigna explored other potential marriages but ultimately chose Express Scripts, which was concerned with its viability as a stand-alone PBM following a messy breakup with its biggest client, Anthem. Activist investor Carl Icahn initially criticized the combination, saying that Cigna is "dramatically overpaying" for Express Scripts. But Icahn abandoned his efforts to stop the deal after two independent advisory firms recommended voters OK it. The current rebate model, in which drug companies give discounts to pharmacy benefit managers to make their products the only ones available to consumers or make the co-pay lower than that for competing drugs, is under fire, which adds some uncertainty to the pharmaceutical supply chain financial framework. Cigna said in securities filings that Express Scripts only retains $400 million in rebates, which was far less than expected, according to an analyst note from Leerink Partners. The scale, integrated medical and prescription drug platform, and capital flexibility would allow Cigna-Express Scripts to effectively compete in the evolving landscape featuring players like UnitedHealth Group and Optum, CVS Health and Aetna, and Anthem's PBM IngenioRx. "In our view, Cigna had to move in this direction as incumbents UnitedHealth, Anthem and now CVS-Aetna build out platform capabilities across prescription drug and integrated care delivery that would have made it very challenging for Cigna to compete at its current scale," Leerink analysts wrote. Food and Drug Administration Commissioner Dr. Scott Gottlieb wants to eliminate rebates, which he believes inflate drug prices. PBMs are paid in part by the spread between what it bills the payer for medications and what it pays the pharmacy to dispense those drugs, which can be an incentive for higher list prices. Critics argue that going after rebates doesn't directly address the root cause of high drug prices.